FCRCC’s competitive Dragon Boat programs offers world-class coaching with top-level training, for athletes of all ages. Info on our competitive programs can be found here. The club offers 2 hour Introduction to Dragon Boating sessions for schools and other groups. Looking for a team to join? FCRCC is home to a number of community dragon boat teams of all ages. If you need help looking for a team to join, you can submit a request and we can help find a team best suited for you. Please also look at our recruiting centre message board to see which teams are currently recruiting. You’ll usually see contact info for the team; it might also be a good idea to post a message about yourself, so that teams know of your interests and can contact you. You can also check out Dragon Boat West to find teams who paddle out of other locations. Want to start your own team? 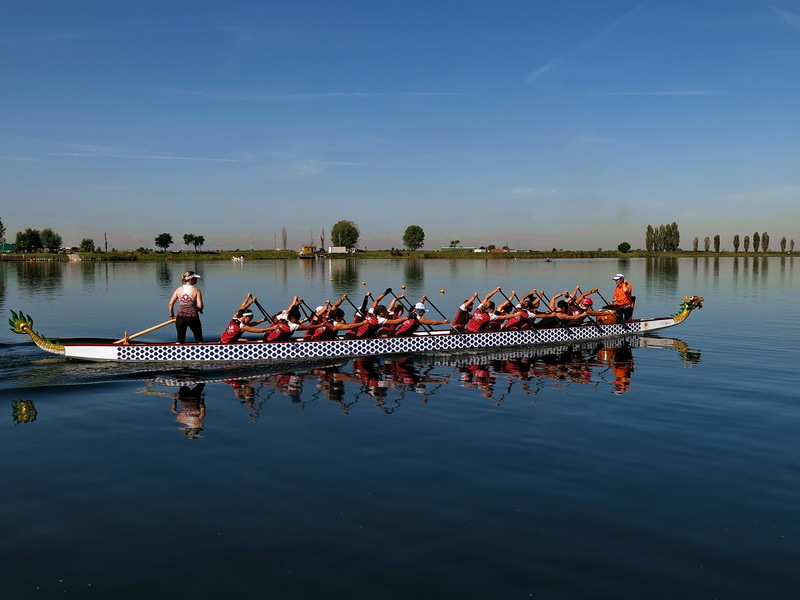 If you are thinking of starting a team, the club offers a variety of Dragon Boat Team membership options. If you’ve ever wanted to paddle in a dragon boat and have that race experience but lack confidence in your paddling abilities, the FCRCC INTRODUCTION TO DRAGON BOAT – RACE READY Program welcomes you!! This 4-week program will get you RACE READY for either the FCRCC Spring Knockout (April Program) or the Harrison Dragon Boat Festival (Summer Program). Th​e program is offered 1x/week for approximately 1.5 hours and provide the opportunity to experience the thrill of preparing for a dragon boat race with like-minded individuals in a safe and supervised environment. The dragon boat race experience is often a great way to develop new friends. Participants will be provided with PFDs and paddles. Dragon boats hold 20 paddlers, 1 steersperson and a drummer/coach. The sessions usually consists of preparation time on land followed by paddling on the water. For more info, please contact dragonboat@fcrcc.com.